France is recalling its ambassador to Italy for talks after what it said was a series of “unfounded attacks and outlandish claims” by Italian leaders. The French foreign ministry said it was a situation “unprecedented” since the end of World War Two. On Wednesday, France warned Italian Deputy PM Luigi Di Maio not to interfere after he met French “yellow-vest” protesters near Paris. On Wednesday, the ministry called Mr Di Maio’s visit a “new provocation” that was “unacceptable between neighbouring countries and partners at the heart of the EU”. 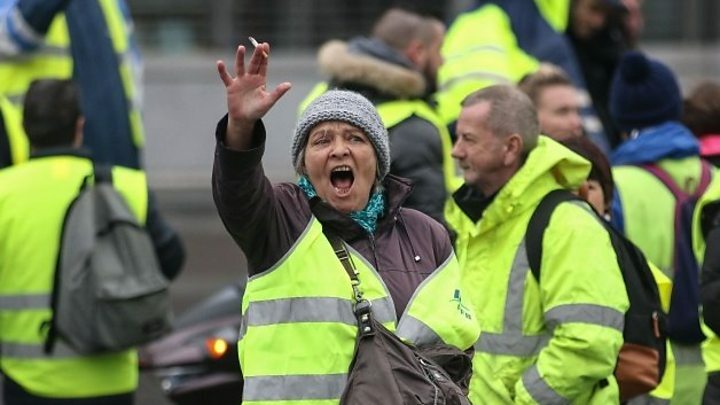 The “gilets jaunes” protests against fuel tax hikes began last November, saying the measure hurt those who live in remote areas of France and depend on cars.